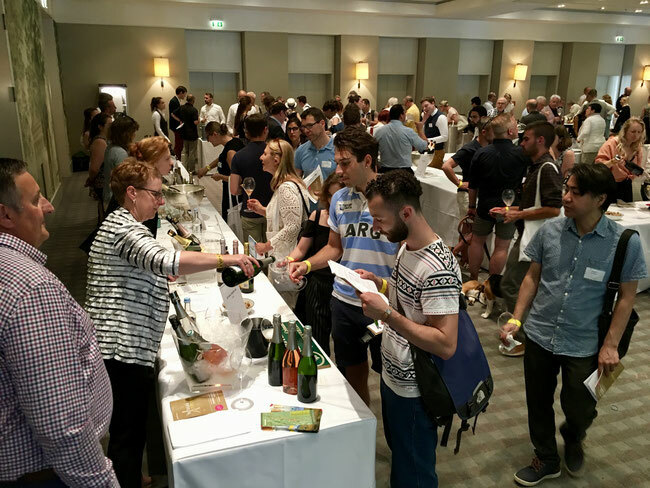 If you are into top quality fizz of any origins, here's an event to not miss out: The International Sparkling Festival just announced the date of its coming edition - it will be taking place on June 3rd 2019 in Frankfurt. We are not entirely impartial to sparkling wine - to say the least...And during our visit at the last edition (find the related post here) we found plenty of reasons to come back. For one: the event is truly international! Cava, Crémant, Champagne, Brit Sparkling... you name it, they are all represented. We are a bit biased though, so we really look forward to the huge spread of German (and some Austrian) Sekts that will be available for tasting. It is all about top-quality with selected houses presenting 'méthode traditionelle' (the method originating from Champagne) - bottle fermented -sparkling wines only. In many cases one can speak to the producer him- or herself and learn first hand where your sparkler is coming from and how it has been made. At last year's event for instance we met German sekt shooting star Nico Brandner from Griesel & Compagnie Sabrina Schach of superb Sekthaus Solter, and Silvain Taurisson Diel from legendary Nahe wine estate Diel. Finally, and most exciting to us at BottleStops, is the option to taste base wines. That, admittedly, might only a be sparkling-wonk's aspiration, but we are super curious about it. More information and event registration here. For professionals there will be a sparkling wine Symposium, too. We'll post more information soon.